Online job searching provides a number of opportunities and conveniences for job seekers. In fact, it's almost impossible to job search without using the Internet. Most large companies, and many smaller employers, only accept applications online and in order to apply you will need to provide at least some personal information. However, job seekers are a major target for scammers that seek to steal peoples’ identities. That's why it's really important to be sure the jobs you are applying for are legitimate and you are not inadvertently providing personal information that can be used for identity theft to a scammer. There are a number of ways in which scammers seek to steal job searchers’ personal information including pretending to be an employer and collecting your information from a job board, listing fake job openings online, saying they will file for unemployment for you, sending email asking you to apply for a job or even saying you've got a job offer. Here's information on the most common identity theft scams and advice on how to avoid identity theft while job searching. Collecting Your Personal Data: One way scammers can get your information is by simply prowling job search sites. Most job search sites allow users to post their resumes publicly so that companies can search through resumes and contact potential candidates. 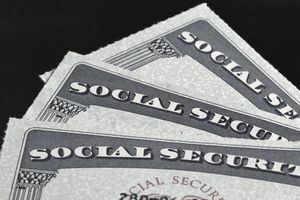 A fraudulent company can easily search through these resumes and collect any personal information listed, including your name, address, phone number, email, and (if you list it) Social Security number and driver’s license number. With this information, scammers can set up bank accounts in your name and potentially access your own accounts. When you post your resume online it's important to check the privacy settings on the site where you list and to be sure the site itself is legitimate. Fake Job Listings: Other scammers list fraudulent job openings on job boards and other job search sites. Before offering you the job or even meeting with you in person, they will ask you for either your bank account number (under the guise that they will be paying you by direct deposit), a copy of your utility bill (which contains your bank account information) or a background check. They will then use this information to access your account or set up an account under your name. Direct Email: Some scammers will contact you directly. They will often email you directly pretending to be a contact from a legitimate job site. These scammers may even offer you a job you can't remember applying for and you probably didn't apply for it. Often, it is a job that seems too good to be true, such as a work-from-home job or a job in an exotic, far-away location. Like the scammers on job search sites, they will ask you for personal information, such as your bank account or PayPal account number. Unemployment Scams: With this type of scam, the scammer will offer to file for unemployment for you, even though you are the only person who can file an unemployment claim. Scam unemployment websites collect your personal information to use for fraudulent purposes including identity theft and collecting your personal information to sell you products or services. In all of these cases, these scammers will access your personal information and use it to steal money from your personal bank account or establish another one in your name. This information can also be used for credit card fraud and even for getting loans or financing purchases in your name. Don’t let the scammers scare you away from online job searching. Instead, you can simply take a few precautions to ensure that your personal information does not fall into the wrong hands. Keep Your Job Search Separate: Keep your job search as separate from your personal and professional life as possible. When signing up for a job search site, create a username and password that differ from those you use on other accounts (your email, bank account, etc.). You may also want to create an email address that is just for job searching. Some people even get a post office box and list that number on their resume instead of their home address. To protect your home phone number, you may also consider getting a temporary cell phone to list on resumes and to use for phone interviews. However, because cell phone numbers are generally unlisted, you should feel relatively safe listing your cell phone number on a resume. Use Privacy Settings: A number of job search sites allow you to limit the information you share with employers. Monster.com, for example, allows you to hide your contact information, current company name, and references from employers. Interested employers can contact you via a confidential Monster.com email address. Only when you decide to apply for the position is this information made available to the company. For even further privacy, Monster.com allows you to make your resume completely private. Employers cannot search for your resume, but you can search for job listings and send out resumes yourself. Many job search sites have similar privacy policies. However, keep in mind that, the more privacy settings you set, the fewer chances you have of interested employers finding your resume. Limit The Personal Information You Share With Employers: Never include your date of birth, Social Security number, driver’s license number, bank account number, or credit card number on your resume or cover letter. You may not want to list your home address on your resume, or only list part of it. Do not share this information with any company until you have met in person, interviewed with the employer, and been offered a position in writing. Keep Track of Where You Post Your Resume: Scammers may email you and state that they saw your resume on a certain job site. Often, they are lying. Keep track of the job search sites on which you actually do post your resume so you can avoid this common scam. Even if you have posted your resume on the site, check to make sure the company is legitimate. Don't respond until you have double-checked that both the position and the company are legitimate. Some scammers use real company names but post fake jobs. Here's how to check out jobs and employers. Verify That the Company is Legitimate: Many of these fraudulent companies appear legitimate; they may have a logo or even take their name from an actual company. If you're not sure, call the company or visit the office to verify that any company that contacts you is legitimate. Trust Your Gut: If you see a job listing or receive an email that seems suspicious, trust your instincts and do not apply for the position. Sometimes, you may just have the feeling that something doesn't seem right. If you have any doubt, trash the email and forget about applying for the job. It can be difficult to tell the difference between scams and legitimate job sites and job openings, especially when it comes to work-at-home jobs. Here are scam warning signs to watch for and how to spot a scam. Sometimes, you can do all the right things to protect your identity, but you can still get scammed. As I mentioned, some of these scams are very sophisticated and it can be hard to tell that they are not real. If your identity is stolen, close any accounts you believe have been tampered with. Place a fraud alert on your credit report, and review your credit report for any recent changes to your personal information. File a report with local police, and continue to periodically review your credit report.